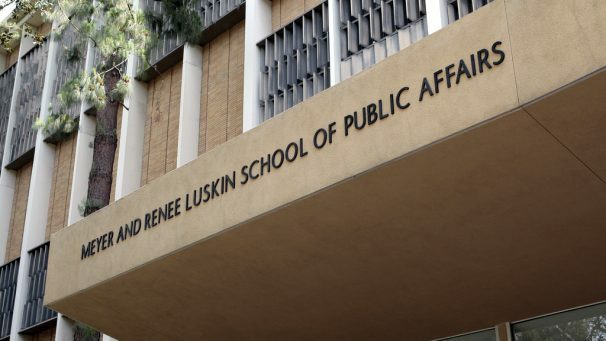 The UCLA Luskin School of Public Affairs is once again among the top 15 public affairs schools in the nation as ranked by the latest U.S. News and World Report ratings released March 12, 2019. The School retained the No. 14 (tied) spot in the ratings while moving up to No. 13 (tied) in the social work category. 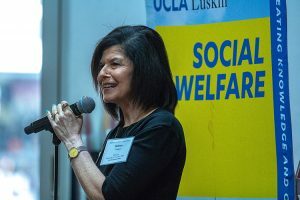 “I am extremely pleased that Social Welfare at UCLA Luskin has moved up in rankings to 13 in the nation as rated by our esteemed peers,” said Laura Abrams, professor of social welfare and chair. 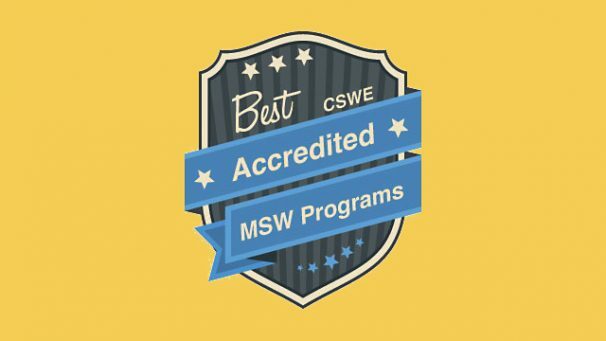 “We will continue to work to educate the most-prepared social workers at all levels of practice in our pursuit of equity and social justice.” The School — with graduate departments in Public Policy, Social Welfare and Urban Planning, and a new undergraduate major in Public Affairs — also received high marks for subcategories that include health policy and management (No. 12) and urban policy (No. 9). 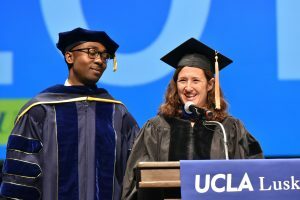 A number of UCLA professional schools and programs also were named among top schools in U.S. News and World Report’s “Best Graduate Schools 2020” guidebook, which will be available in the spring. According to the publication, yearly graduate program rankings are based on experts’ opinions about program excellence and on statistical indicators that measure the quality of a school’s faculty, research and students. 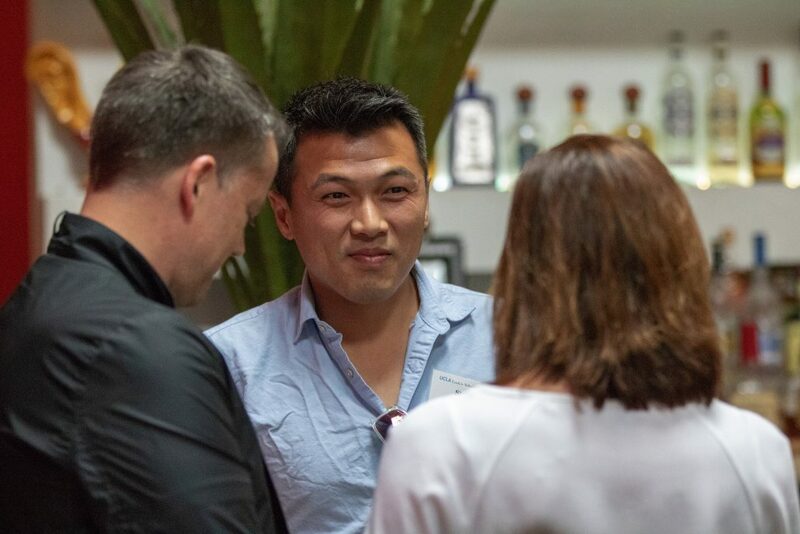 Research for the publication included surveys conducted in fall 2018 and early 2019 of more than 2,000 graduate programs and more than 22,000 academics and professionals in the disciplines. View a Flickr album from the event here. 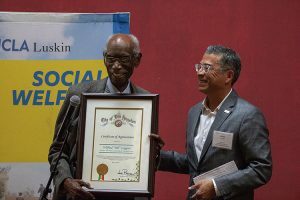 During the annual gathering to present Helene Creager MSW ’85 with its Alumna of the Year award, UCLA Luskin Social Welfare also recognized a lifetime of achievement by Wilfred “Bill” Coggins, a member of the Social Welfare graduating class 30 years earlier, in 1955. 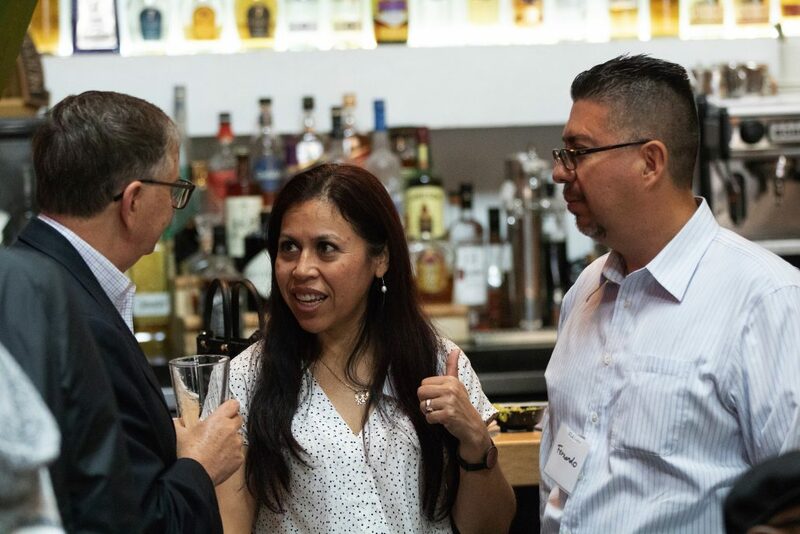 Friends, family, faculty and coworkers jammed Loteria Grill in Hollywood on May 19, 2018, to celebrate Creager, a supervising U.S. probation officer, and Coggins, founder of the Kaiser Permanente Watts Counseling and Learning Center. 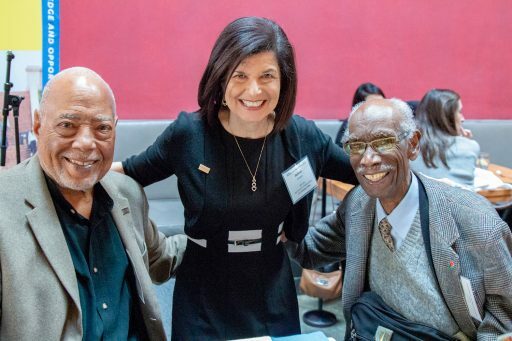 Since 2007, a Master of Social Welfare (MSW) graduate has received the alumni award named after the former vice chair and longtime director of field education at UCLA Luskin, Joseph A. Nunn MSW ’70 PhD ’90. He was on hand to congratulate both awardees and to introduce Coggins, who was the first-ever recipient of the Lifetime Achievement Award. Creager received her award from Professor Emeritus Alex Norman DSW ’74, who had nominated her and is also the person who first encouraged Creager to pursue an MSW at UCLA. “She has distinguished herself at every level of her professional employment,” Norman said. Helene Creager received her award from Professor Emeritus Alex Norman DSW ’74, who had first encouraged Creager to pursue an MSW at UCLA. 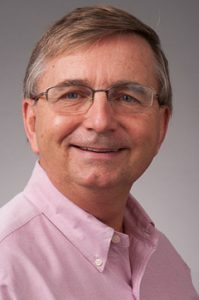 “I am receiving this award as I am about to retire, by the man who helped me start my career,” said Creager, who is married to another alum. Creager cites Nunn as a mentor during her studies and throughout her career. 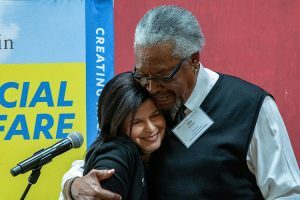 At one time Coggins, trained as a psychiatric social worker, contemplated working in private practice, but his life took a different path shortly after the New York native and U.S. Army veteran returned to the United States in 1966 from a Fulbright Scholar post in London. 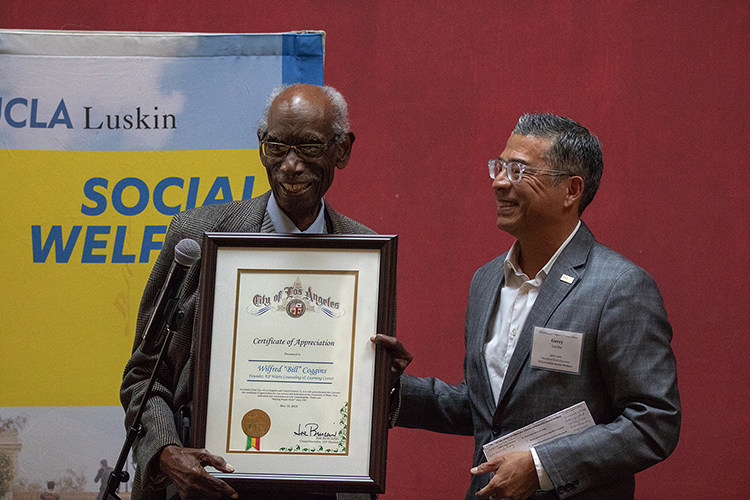 Wilfred “Bill” Coggins, who graduated from UCLA’s social welfare program in 1955, was also awarded a certificate of appreciation from the City of Los Angeles, signed by Councilmember Joe Buscaino. It was presented to him by Gerry Laviña MSW ’88, director of field education. 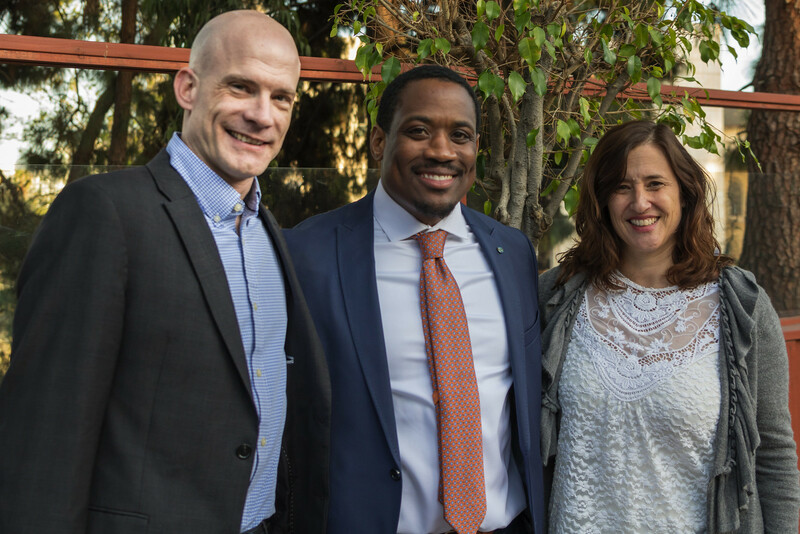 Leap said Coggins focused his efforts on the strengths of the people who live in Watts. “Every Monday morning at the Watts Gang Task Force, when the staff of Kaiser gets up to present on their latest efforts, we are all (silently) reminded of the work Bill did — it lives forever,” she said. Alice Harris, an institution in Watts herself, has carried on the tradition of Coggins. “Sweet Alice,” as she is known in the community, met Coggins through a program he established through the Watts Counseling and Learning Center. Harris is one of the original Core Mothers, a group of parents who attended the center with their children and went on to serve as advisers to new parents and their children. 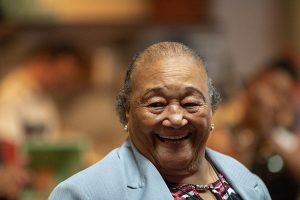 Today, Harris continues to serve as executive director of Parents of Watts, a social services agency that she started out of her own home more than 50 years ago. 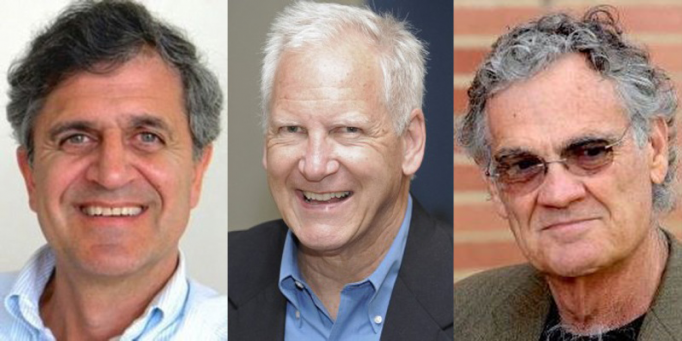 This year Coggins will also be inducted into the California Social Work Hall of Distinction along with alumni Kathy Kubota MSW ’82, John Oliver MSW ’69 and Yasuko Sakamoto MSW ’83. Other UCLA Luskin speakers at this year’s Social Welfare gathering included Dean Gary Segura, Alumni Relations and Social Media Director Marisa Lemorande, and Gerry Laviña MSW ’88, director of field education. 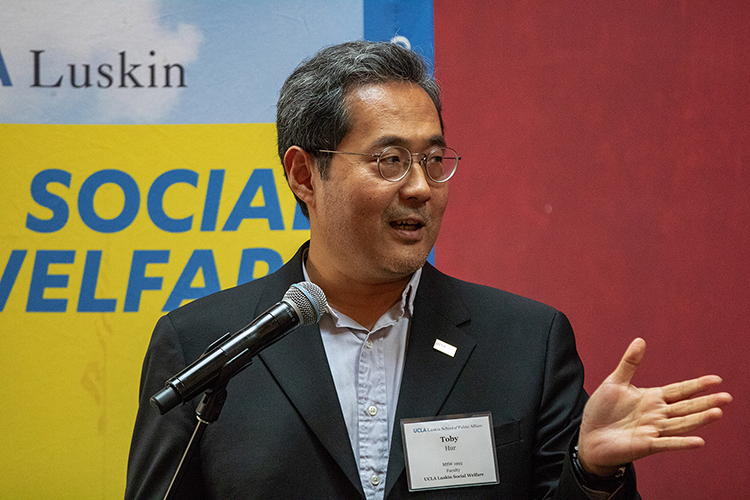 Toby Hur MSW ’93, a Social Welfare field faculty member, introduced this year’s Social Welfare Alumni Fellowship Fund recipient, Jennifer Weill, a second-year MSW student. If you would like to donate to the UCLA Luskin Social Welfare Fellowship Fund which provides support for student fellowship opportunities, click here to learn more. This year’s Social Welfare Alumni Fellowship Fund recipient is Jennifer Weill, a second-year MSW student. Joy Crumpton speaks at her retirement reception on June 6, 2011. 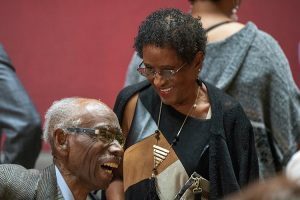 Joycelyn Anita McKay Crumpton — “Joy” to all who knew her — spent more than three decades dedicated to a career in social work and helping others. 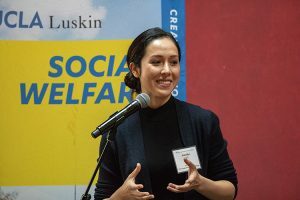 The former Social Welfare field faculty member at the UCLA Luskin School of Public Affairs, who passed away in September 2017, was known for working to create positive change through education, leadership and service where she worked and taught, as well as in the communities where she lived. Family, friends, faculty, colleagues and former students got together on March 8 at UCLA’s Faculty Center to honor Crumpton’s contributions to the field of child welfare, diversity, and spirituality in social work practice, to celebrate her life and share memories. 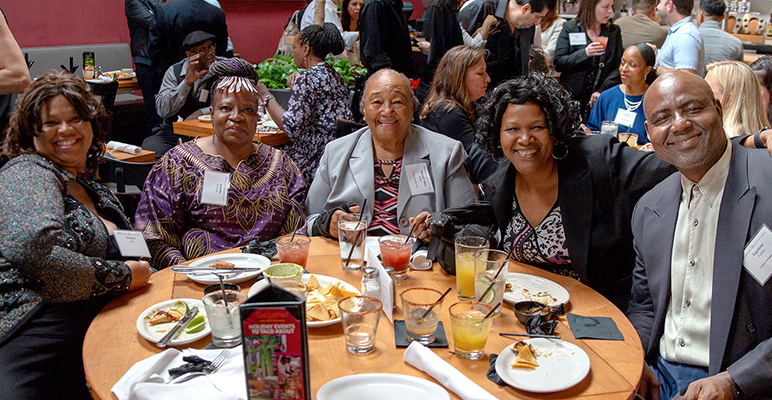 In addition, a memorial fellowship fund in her name has been established so MSW student recipients may carry Joy’s legacy as leaders and change agents. Contribute to the Joy Crumpton Memorial Fellowship Fund. 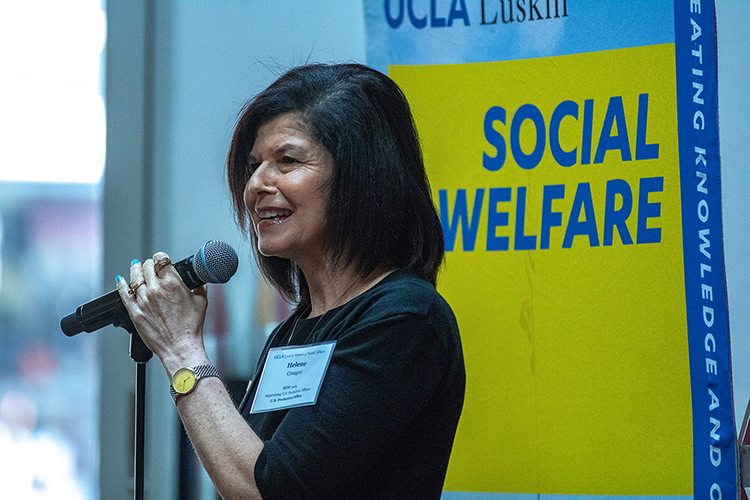 At UCLA Luskin, Crumpton MSW ’80 also served as project coordinator of the Title IV-E California Social Work Education Center (CalSWEC) stipend program for MSW students, a post she held from 2004 until her retirement in 2012. Previously, she served as associate director of the UCLA Center on Child Welfare, Inter-university Consortium from 1992 to 1996. In addition, she spent many years in curriculum development and training implementation focused on child abuse and neglect. At the core of her work was the determination to impact those in need — children, adults and families, according to friends, family and colleagues. “Joy was an inspiration to everyone around her,” said Wanda Ballenger MSW ’73, longtime friend and colleague, who met Crumpton in the 1980s. In 1992, Ballenger hired Crumpton as associate director of the Center on Child Welfare. 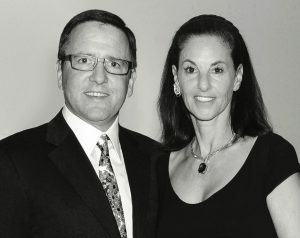 “Joy was a very social person, who was better at being ‘on,’ ” when it came to meetings and presentations, added Ballenger. 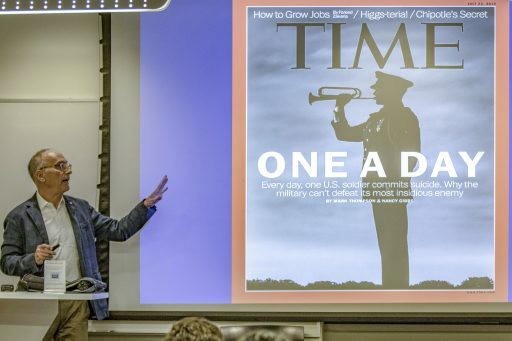 In fact, Crumpton was a talented and inspirational speaker. Her audiences included children and youth, parents, graduate students, social workers, probation officers, public health nurses, judges, court officers, community advocates, clergy members, and university faculty and staff, as recounted in a memorial posted online. 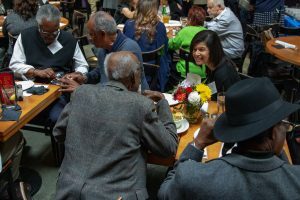 In additions to positions at UCLA, Crumpton held a number of training and instructional positions, including lead trainer for the Bay Area Academy and child welfare ombudsman for the Health and Human Services Agency of the city and county of San Francisco. She also founded and directed Family Tree, which provided training and consultation services related to child welfare. 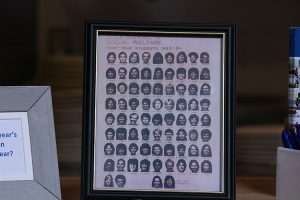 Throughout Crumpton’s career, she taught and provided fieldwork instruction at a number of institutions, including UC Berkeley’s School of Social Welfare, San Francisco State University, and USC’s Center on Child Welfare. At UCLA Luskin, Crumpton taught graduate courses in cross-cultural awareness, international social work, advanced child welfare practice and the program’s child welfare seminar. She also collaborated with the University of Ghana to develop a cultural immersion and fieldwork internship for MSW students working in key social service agencies in Accra, Ghana, West Africa. 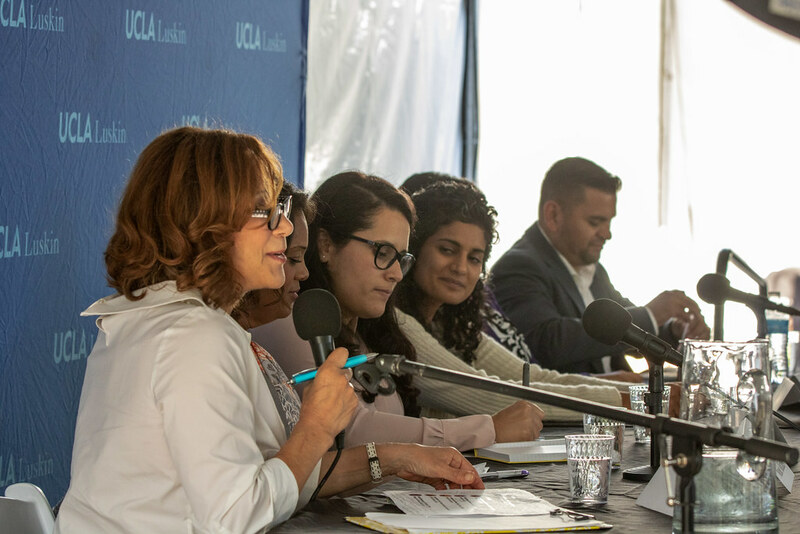 Jorja Leap MSW ’80, adjunct professor of social welfare, remembered her longtime friend and colleague from their early days as MSW students in the same class at UCLA. 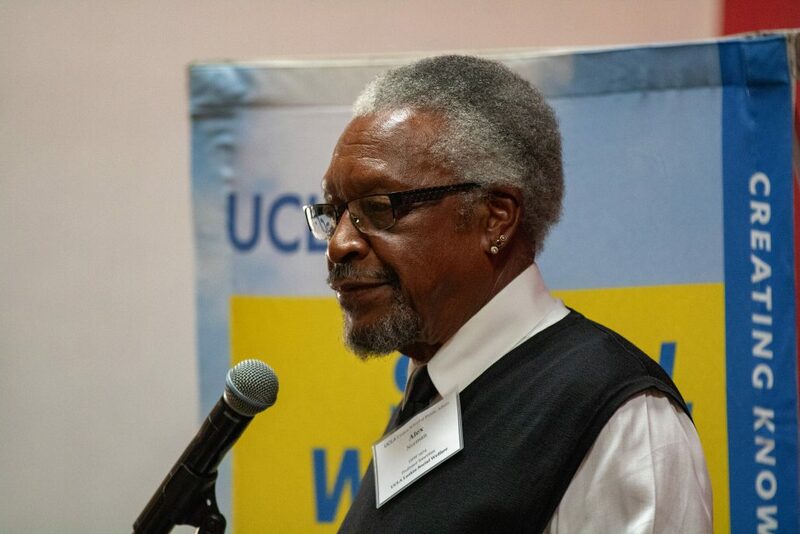 Joseph A. Nunn MSW ’70 PhD ’90, former director of field education for Social Welfare at UCLA Luskin, also had the privilege of working with Crumpton.